Memory device is Motorola 9S12DG128. You can read and write Motorola with TMPro, download connection diagram. Expected file size is 2048 bytes. Use PCF7936 or Silca T14 – JMA TP12 transponder. Land Rover Discovery 3 (LR3), Range Rover Sport CEM. Memory device is PIC18F6620 64 pin QFP package. You can read and program PIC18F6620 with TMPro, download connection diagram. 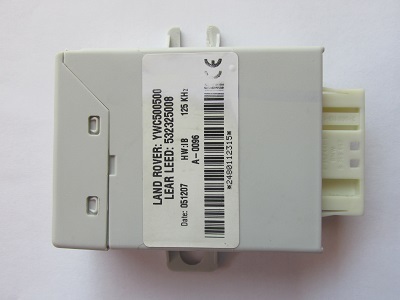 Use PCF7936 or Silca T14 – JMA TP12 transponder or ORIGINAL BLANK remote key. NOTE: If remote key is locked,you can unlock it download connection diagram. Remote is ready programmed to operate. 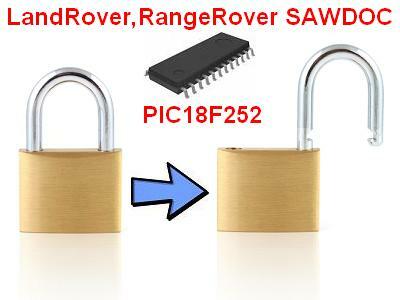 In 50% of SAWDOC immobilisers MCU PIC18F252 is locked against reading. Because of this TMPro cannot read data for to make key. This software can unlock PIC18F252 , download connection diagram. To unlock PIC:Press Select and write memory device button.Unlocking procedure will begin. At end of procedure MCU is unlocked.